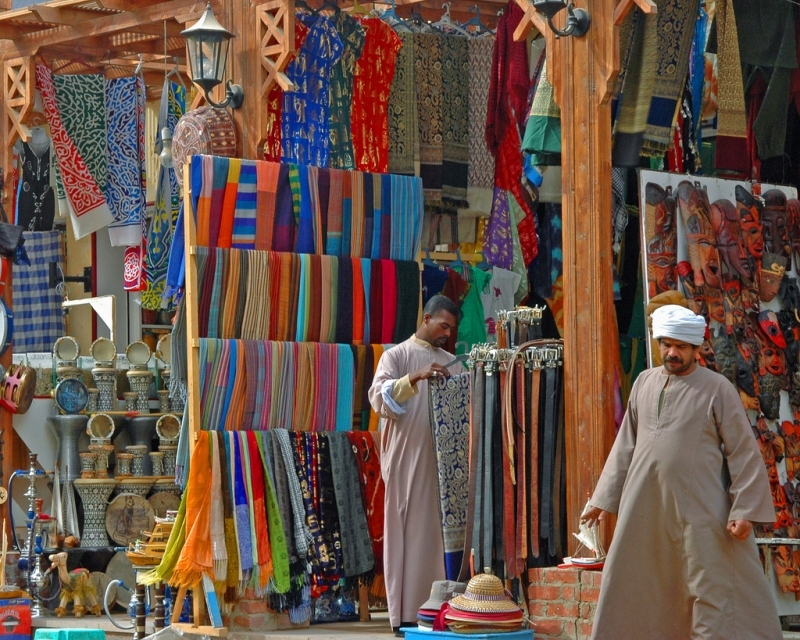 it is the cheapest place to buy souvenirs in Aswan. 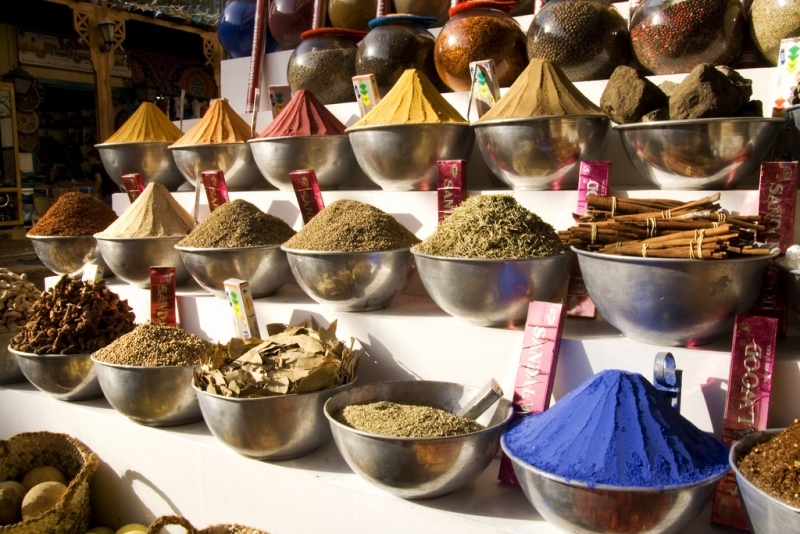 Located about four blocks from the Nile and running about 7 blocks in parallel to the river, the bazaar has plenty of Egyptian and African goods. 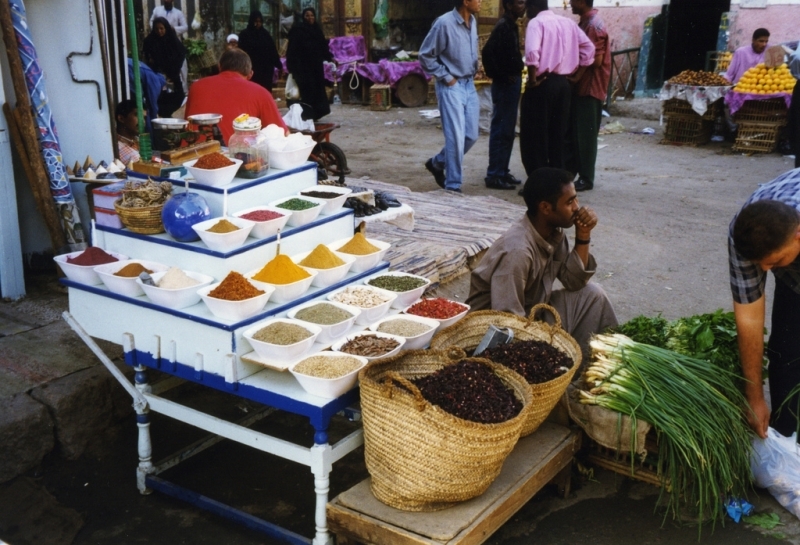 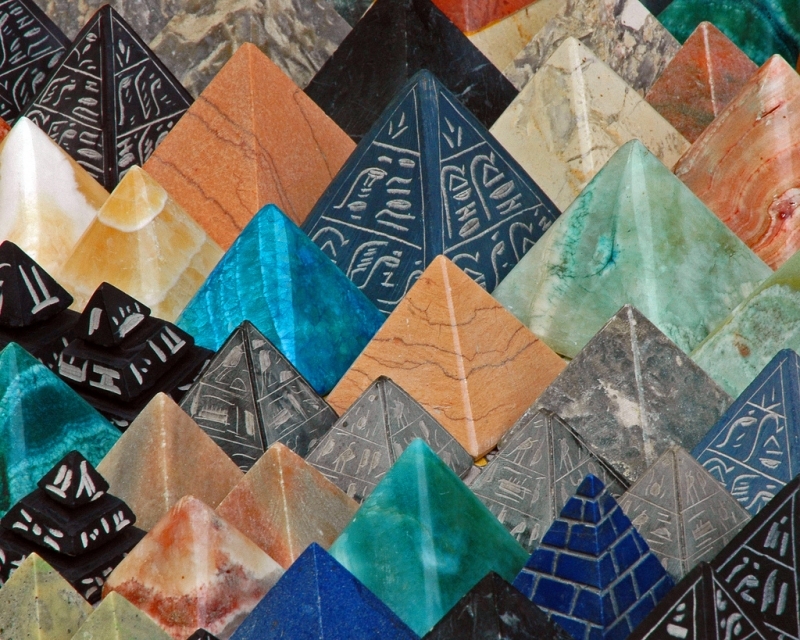 Traders sell a wide variety of goods such as perfumes, peanuts, henna powder, dried hibiscus flowers, spices, T-shirts and custom made Ancient Egyptian styled souvenirs. 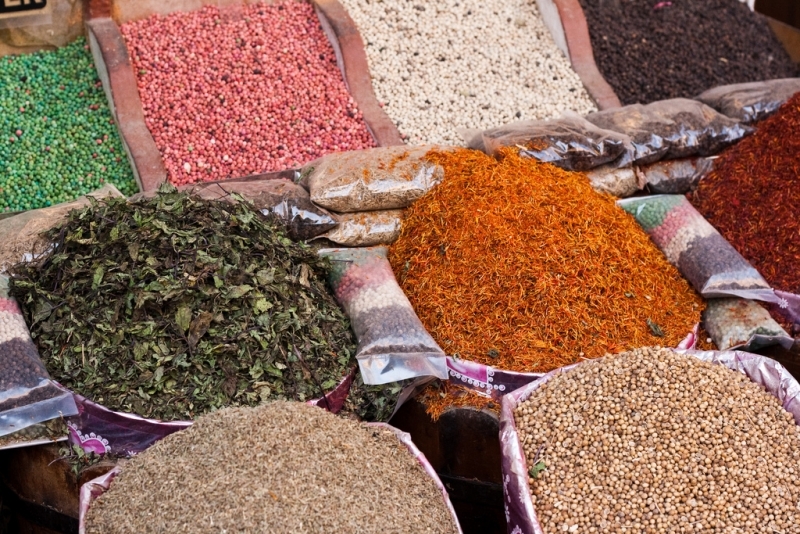 In side alleys you’ll find traders selling Nubian artefacts such as skullcaps, talismans and baskets, Sudanese swords, spices and carpets, and stuffed animals such as crocodiles.